One of the images appears to have a tiny amount of warp in it (or else my difference aligning wasn't correct!) around the middle of the picture. The damage to the sides on that image give some idea what happened. I was particularly interested in the Blue channel - in RGB images this typically contains most of the noise - hopefully that should help people identify the channel! Foghorn002 - can't see your image anywhere. Sounds like a fun test... I will look into it. The Alias Blue Channel is a different composition. 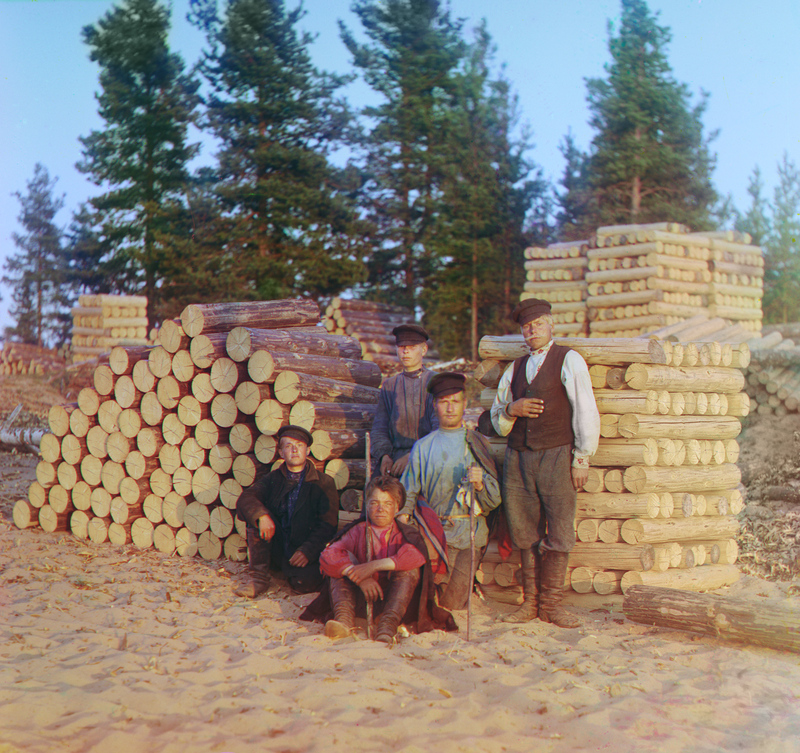 The young man sitting on the logs in the middle has his lips parted in the darkest (blue) channel. The other facial expressions don't align either in that part of the image. What a colossal waste of time. If you wanted me to build a fake blue channel out of the green why did you include a misleading blue channel? Dumb! i think this picture was taken using colour filters over the lens. that's why there a slight difference in one of the "channels"
Biggest issue is to align the frames of course. @lkroll, Gimp does a very nice job aligning, but did you notice it actually requires manual fine tunning because the guy in the middle moved in between shots? You can notice some aberration in that area due to this and there is no way it can be done totally automatic . Last edited by kuasar; 08-14-2014, 05:10 AM. I am going to give this a try. I usually don't compete in these contests and generally don't have the time to do them justice, but this one intrigues me. Some interesting results so far already posted - and some surprising variance in results. Those differences actually seemed unlikely at first read, but I've yet to do it - so I'll see what comes of my efforts. So... I must admit, breaking this down was a revelation of presumed past technology. 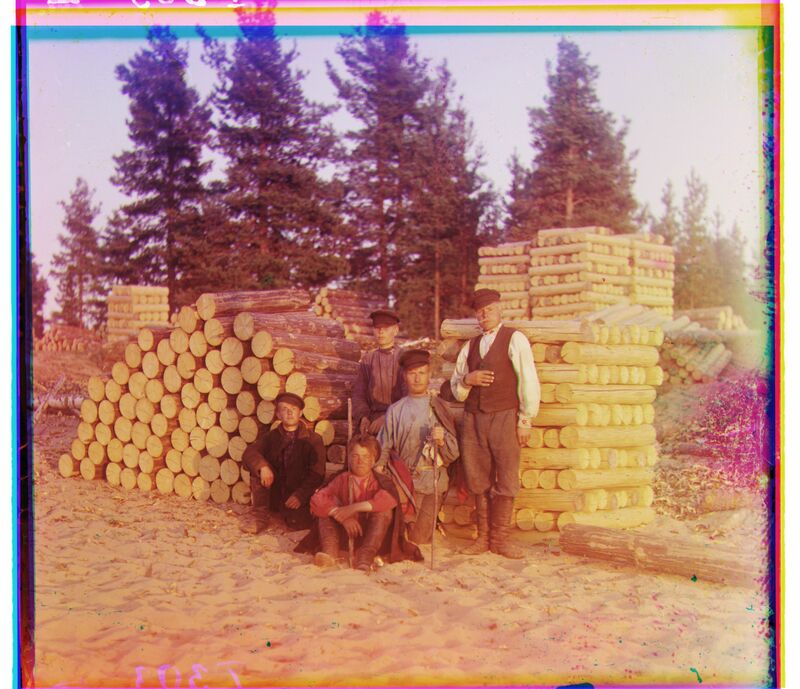 I am not familiar with the process of taking a color photo in this era (although I probably should be). But it does appear that the photographer takes 3 shots, advancing the film as he changes his lens filters (YMC) to capture the blue, green, red light. What we have downloaded is a contact sheet (a print) of that film, which accounts for the dirt in some frames, but not others. Initially thinking the dirt specs could be lined up in the layers of RGB, but soon realized that dirt/dust on the neg in one spot will not correlate to the same area of the image in the other channels. Obviously, as some have pointed out, the man in the middle (kneeling) had the hardest time holding his position during the 3 exposures. So I actually morphed him individually, and selectively, to try and get a better alignment and focus for him. Also rather obvious is that the Wood Piles did not move - so, this is a good place to start your alignment. Got lots of other observations while playing, but cut short (for now) and show you a quick rendition of where I am. How do you save to be 100k max so that the image is viewable. If I get down to 100k, it really looks like crap and the ones here are better. Sure you are xgi93. It looks pretty darn good to me for your start. Last edited by daygraphics; 08-14-2014, 11:03 AM. Lyle... mine started out looking almost exactly like yours! Last edited by AngeloDau; 08-14-2014, 10:38 AM.